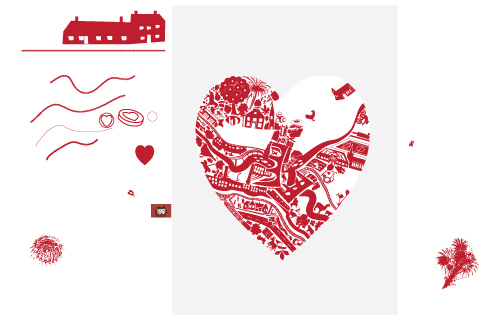 In 2012, I was asked to create a design that could be used as a means to help raise some funds for my children’s wonderful little school, Newtown Primary. 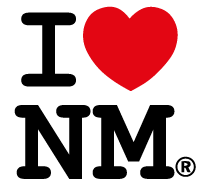 The idea for a bag came from a very successful school project in London that had just been in the press, featuring a very simple I [heart] N5 motif, clearly based on Milton Glaser’s famous I [heart] NY design. …but that seemed too easy, and indeed had already been done by New Mexico, and more recently that well known tourist hotspot of North Manchester. 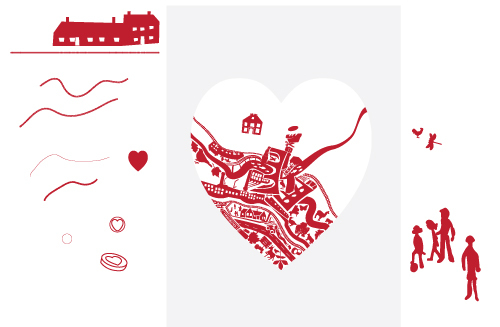 I mainly wanted to showcase the varied topography of New Mills, but at the same time create a simple, immediate graphic image. 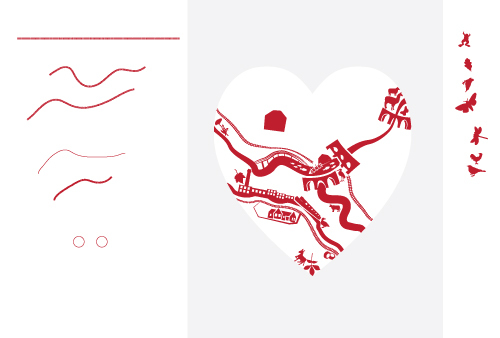 So I combined the two ideas and started to build up a “heartogram” based on a very loose map of New Mills. I started with the rivers and the railways, then added Swizzels Matlow, the viaducts, the Millennium Walkway and Torrs Hydro. I wasn’t really convinced when I started out, but this is a common reaction for most creative endeavours. You just have to have faith and press on. 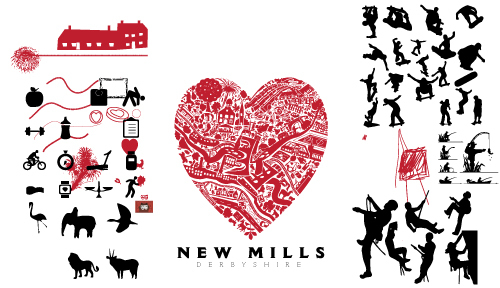 Love New Mills – nearly finished! Here it is all filled in. I wasn’t really happy with it though. It seemed a bit too perfect. 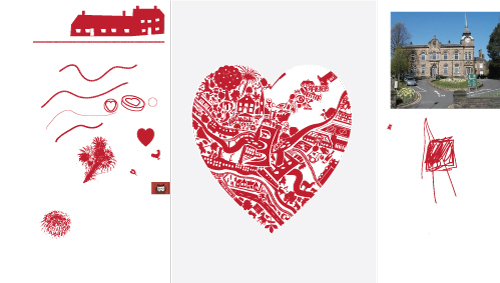 I had designed the heart shape as a masked layer, to create a clean edge to the shape. At one point I had to hide it to find an object that had slipped underneath, and saw the rivers and lines extending beyond the heart. I decided I liked that effect, making everything a bit looser and hinting to the connectedness of New Mills to the outside world. Just a bit of tweaking then, and we have the final image. The next challenge was getting it onto a bag. The problem was, that I couldn’t find anyone willing to print such a complex design onto the kind of high quality heavyweight bag I wanted. I was about to give up, but I found one company willing to work with me to tweak the design in just a couple of areas, and to give it a try to see if it would work. Thankfully it did, and when the samples arrived I was stunned with the quality. I couldn’t wait to share it, so I posted it on my Facebook page, and people seemed to like it. I then spent a brief spell as a bag salesman – not something I had anticipated in my career – and everyone graciously stocked it. I had already decided in the course of designing it that the proceeds would be spread to a number of New Mills causes. In this spirit, all the town centre stockists took it on a no commission basis to keep the price down, and hopefully sell as many as possible. 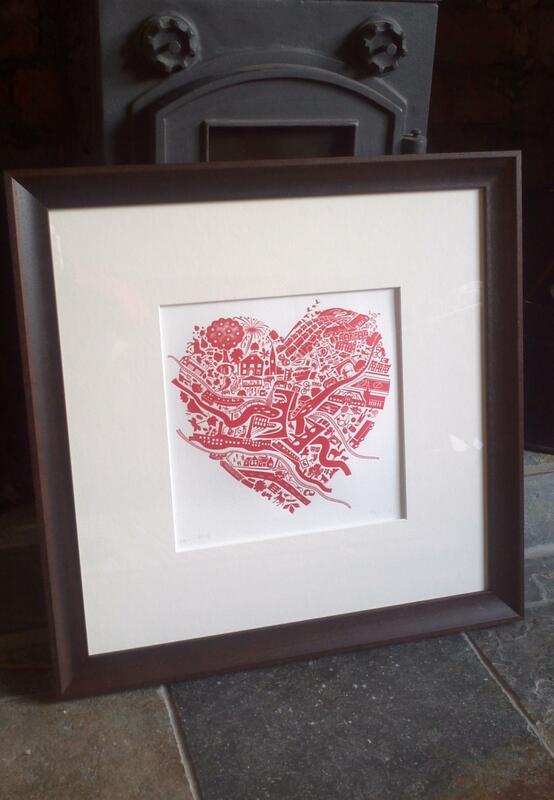 The initial interest was so great I decided to get some limited edition prints made to sell. I had recently worked with a great little traditional letterpress company in North Wales called Blush Publishing, so I commissioned them to make 50 beautiful letterpress prints to sell as art pieces. Pete at Framed found a great way to mount them ready for framing, and they look just sensational. Overall it’s been an enormous success. It has given me a sense of great personal pride to see it taken to heart by the community, and I love seeing people walking around with their bags over their shoulders. 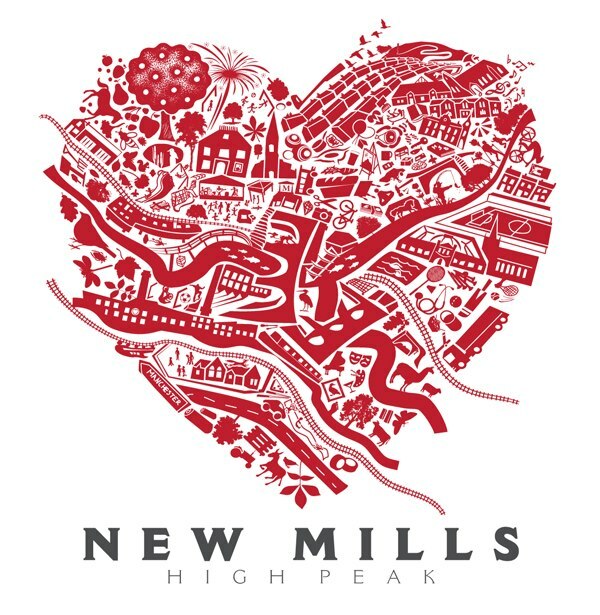 Since then it has cropped up on mugs, in hairdressers, on the wall of Sutherland Reay estate agents, and of course I’m delighted it has been adopted by the Visit New Mills group. But most importantly, it has raised almost £1000 for local causes, including the Volunteer Centre, High Peak Community Arts, Kinder Mountain Rescue, and High Peak Women’s Aid. Bags and prints are still available, both from my online shop, and around town. You can currently get bags in Bryan’s Family Butchers, and High Street Books & Records. 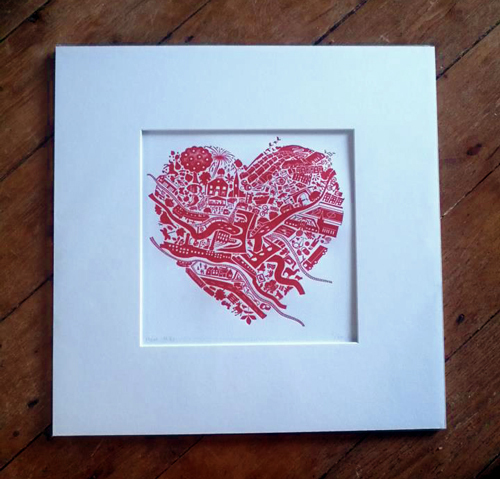 And if you pop into Framed on Albion Road, Pete has a print in stock, and he’ll even frame it for you at a very reasonable price. Over 400 mugs now in circulation – have you got yours? 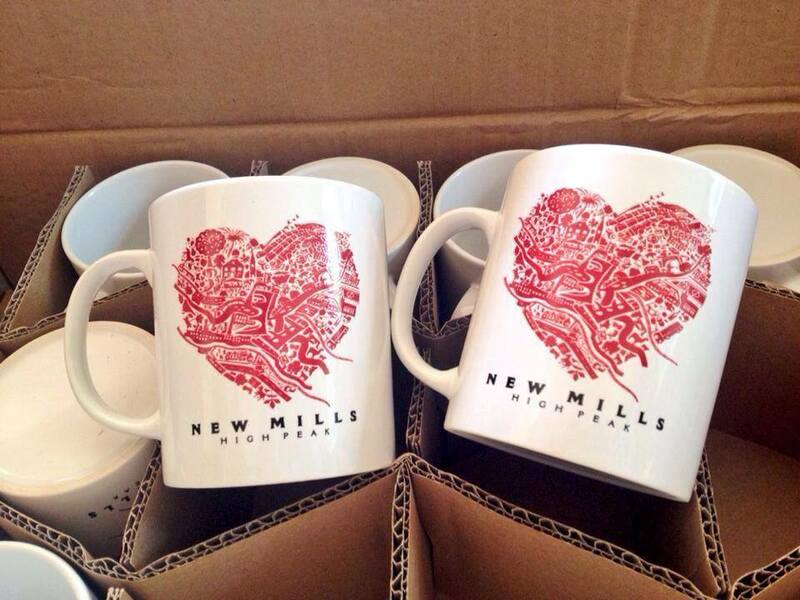 Mugs with the print on are available extensively around New Mills – High Street Books, The Torrs Cafe, Pulse Cafe, New Mills Heritage and Information Centre, Spring Bank Arts – to date over 400 have been sold or given away as prizes at local events.